Dr. Friend H. Holcombe was born on 4 February 1823 at NY.1 He was the son of Homer Holcombe and Margaret Benham.1 Dr. Friend H. Holcombe married Frances M. Wolcott. Dr. Friend H. Holcombe died in 1894. Friend was enumerated in the 1860 Windham, Greene Co., NY, federal census. He was a Physician, age 37; living in the household adjacent to Homer and Margaret. Friend and Frances were enumerated in the 1870 Windham, Greene Co., NY, federal census, page 25. He was a physician/surgeon age 48, she was 32. The only child in the household was Sherwood A. age 6. Friend's father, Homer, age 75 was also in the household. Friend and Frances M. were enumerated in the 1880 Windham, Greene Co., NY, federal census, page 14. He was a physician, age 57, she was 42. Children in the household were son Sherwood A. 16, and niece Hattie Goslin 12. [S25] Hannah McPherson, Holcombe Genealogy, Page 60.1, Item A-4-5-2-3-5-7-3. Homer and Elizabeth were enumerated in the 1870 Windham, Greene Co., NY, federal census, page 25. He was a farmer age 46, she was 40. Children in the household were Marcus B. age 13, Lillie 7, and George 9 months. McPherson 3 asserts that they went to Nebraska in 1873. Homer F. and Betsey were enumerated in the 1880 Windham, Greene Co., NY, federal census, page 11, which shoots McPherson's assertion that they moved to Nebraska seem pretty lame. Homer was a farmer age 56, Betsey was 50. 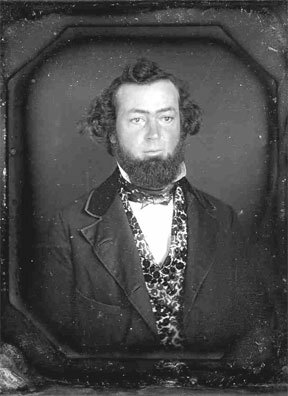 Children in the household were Marcus B. age 23, Lillie A. 18, George W. 10, and John F. 7. [S25] Hannah McPherson, Holcombe Genealogy, Page 60.1/Item A-4-5-2-3-5-6-1. [S382] L. S. Holcombe, "Holcombe, Norman V. B." Elijah and Martha were enumerated in the 1870 Prattsville, Greene Co., NY, federal census, page 388, handwritten page 30, dwelling 224, household 248. He was a harness maker age 30, she was 26. Children in the household were Cora 3, Jessie 2, and Charlie 1 month. Elijah M. and Martha C. were enumerated in the 1880 Prattsville, Greene Co., NY federal census, page 366, handwritten page 19, dwelling 191, household 216. He was a harness maker age 38, she was 36. Children in the household were Cora 13, Jessie 12, Arlington 10, and Charles 8. There is some confusion between the 1870 and 1880 census records. In 1870 the child born in 1870 was called "Charlie". In 1880 the 10 year old child was called Arlington and an 8-year-old child was called Charles. [S381] Pamela Holcomb Osborn, "Holcombe, Omar Alonzo." [S182] Social Security Death Index (on-line), Ancestry.com, SSDI, Ancestry.com, SSAN 556-18-3361. [S182] Social Security Death Index (on-line), Ancestry.com, SSDI, Ancestry.com, SSAN 572-24-7589. Richard's middle initial may have been for his mother's maiden name, Heuperman. He was a physicist at General Electric for over 30 years. [S336] Ancestry.com, Ohio, County Marriages, 1774-1993. [S383] Popenoe, James, online www.popenoe.com. James Harpham married Sarah Holcombe, daughter of Darius Holcombe and Mehitable Holcombe. James Harpham died at Cincinnati, Hamilton Co., OH. [S807] Find A Grave, online http://www.findagrave.com, memorial # 87399706. Presley Martin Popenoe was born on 6 November 1822.1 He was the son of James Popenoe and Sarah Holcombe.1 Presley Martin Popenoe died in 1853. Martha and Arthur also had three daughters.